Traveler’s and non-travelers alike have dreamt of the day that they can lay eyes on Cambodia’s Angkor Wat, one of the world’s most majestic sites. However, as with most well-known tourist destinations, the crowds of other tourists at the Angkor Historical Complex can often be overwhelming, ruining the lost-world atmosphere that many expect. While there are certainly options close to Siem Reap, such as Beng Mealea, that adventure seeking traveler’s can tackle, even these lesser known sites are starting to become more frequently visited by tour groups. Fortunately, for those tourists looking to discover the newest off-the-grid wonder in southeast Asia, you need to look no further than southern Laos. Most in-the-know traveler’s to southeast Asia are becoming familiar with Si Phan Don, also known as 4,000 Islands, a great relaxation spot in the middle of the Mekong, located just north of the Cambodian border. What many traveler’s don’t know, however, is that one of the best preserved of Laos’ ancient sites sits a short distance from relaxing Si Phan Don, near Champasak. With a single, pothole-ridden dirt road stretching between dilapidated buildings, the town of Champasak seems to have little to draw the casual traveler. 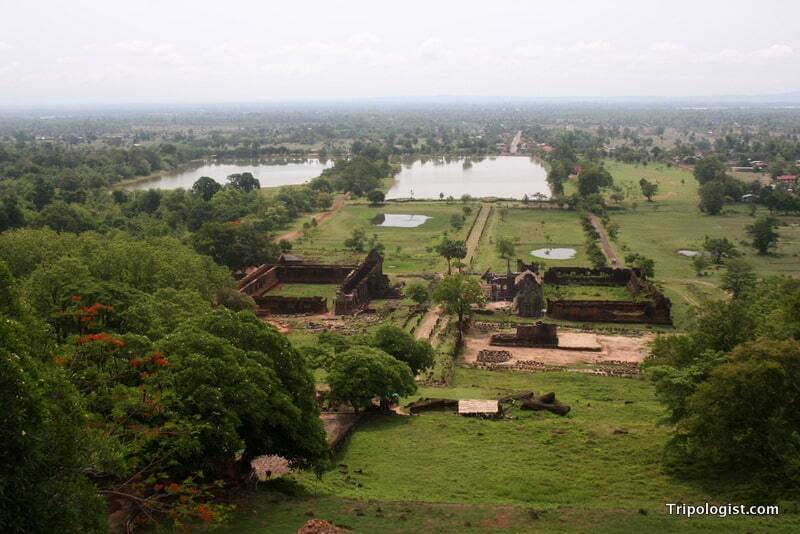 However, a very bumpy 10 kilometer ride south of the town sits Wat Phou, a Buddhist temple complex built in the 11th. 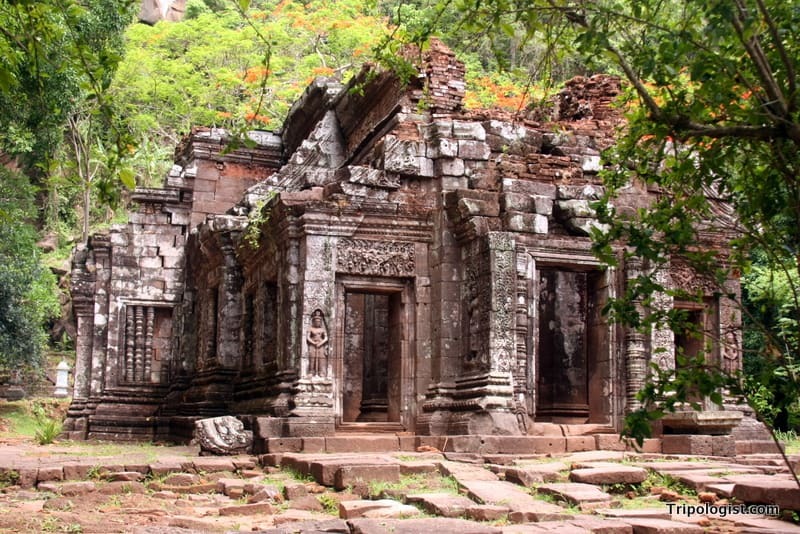 The complex was once part of an ancient city built by the Khmers a century before the construction of Angkor Wat. From the top-tier of Wat Phou, it is possible to see the surrounding country-side and even the Mekong River in the distance. Once a thriving city along the Mekong, little remains outside of the temple complex. The ruins of the temple, however, have survived enough to allow visitors to understand the grandeur it once possessed. Cascading nearly 1,400 feet up the mountainside in three distinct levels, the UNESCO protected Wat Phou is an excellent place to see Angkor architechture without the crowds. It also allows you to see how the locals are taking this ancient temple and keeping it running as an active Buddhist temple. To me, the most amazing part of Wat Phou was it’s peacefulness. During my visit, there were a handful of locals and Buddhist monks visiting to the site. The giant parking lot, however, was empty, save for half a dozen bicycles rented by western tourists. Despite the ongoing work of foreign investors to stabalize the site, the site is still in an obvious state of disrepair. As you climb the stairs to the second and third levels, it becomes obvious that the entire site is sinking down the hill. Fortunately, though, there are still several well preserved temples, as well as some fantastic relief carvings present throughout the complex. 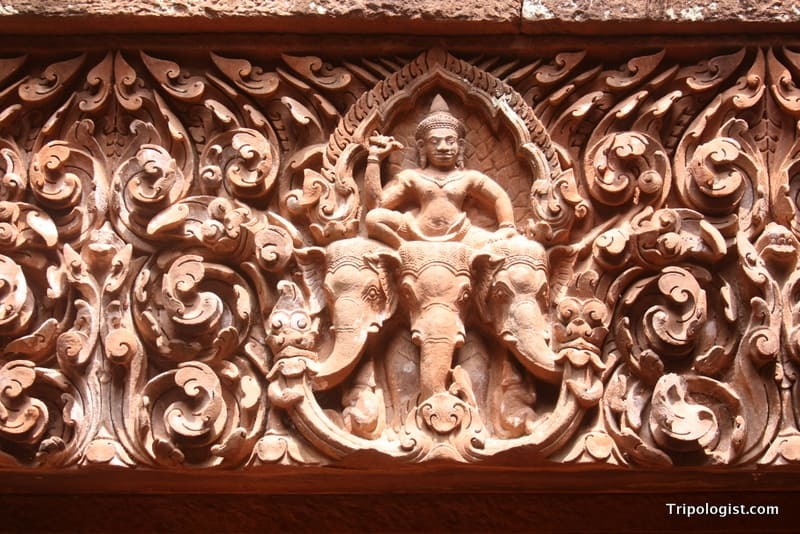 Fantastic relief carvings adorn several of the temples at Wat Phou in Laos. For visitors who have seen Angkor Wat, Sukhothai, or some of the other ancient cities throughout Southeast Asia, Wat Phou may not blow you away. However, the peacefulness of the site combined with the adventure of getting there make it a highly worthwhile stop in southern Laos. Getting to the temple is no easy task. It is possible to get there on day trips from either Champasak or Pakse by booking through a hotel or tour agency. For a taste of adventure, though, make your way to Champasak and rent a bike for the 10 kilometer trip to the temple. The road, which is only paved for about half the distance, is full of potholes, but provides a rewarding way to get to the temple and affords great views of local life. Along the road, there are several restaurants, which give you some where to stop for a meal or a cold drink. You can get to the town of Champasak itself from either Pakse to the north or 4,000 Islands to the south. 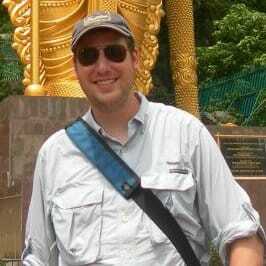 From Pakse, take a songtheaw for about an hour until you reach Champasak. Unfortunately, the songtheaws seem to only run in the morning. From 4,000 Islands, you can book transportation “directly to” Champasak. From my experience though, no matter what they tell you, they won’t take you to Champasak or even to the ferry landing. Instead, my wife and I, along with three other travelers were dropped off on the side of the road next to a turn-off in the middle of nowhere. Opting not to take the overpriced bus waiting for us, we instead walked 5 kilometers with our packs along a shadeless road until we reached the Mekong. From there, we had to haggle with several boat captains before we found one willing to take us all across the mighty Mekong in his very rickety, old canoe. Once in Champasak, there are several place to stay, ranging from acceptable backpacker lodging to a reasonable hotel. Thanks for the comment. Wat Phou is definitely worth visiting if you’re in southern Laos.